With summer approaching you may be wondering what to do with your hair. I find that locs - particularly longer locs can sometimes make you feel hotter in hot weather and that keeping them up and off of your neck can help keep you cool. Since we want to avoid wearing tight ponytails too often due to the strain it can place on our edges, tying them up (loosely but firmly) with a scarf is a handy (and cute) alternative. Naptural85 has filmed a video on 10 ways to tie a headscarf for cute protective styling. 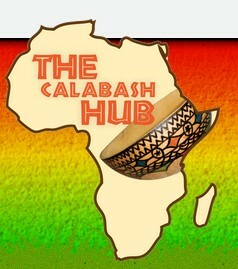 And you can also get ideas and tips from The Calabash Hub, Sister E hosts regular headwrap workshops. Visit her website for more details. How do you rock your scarves and wraps?